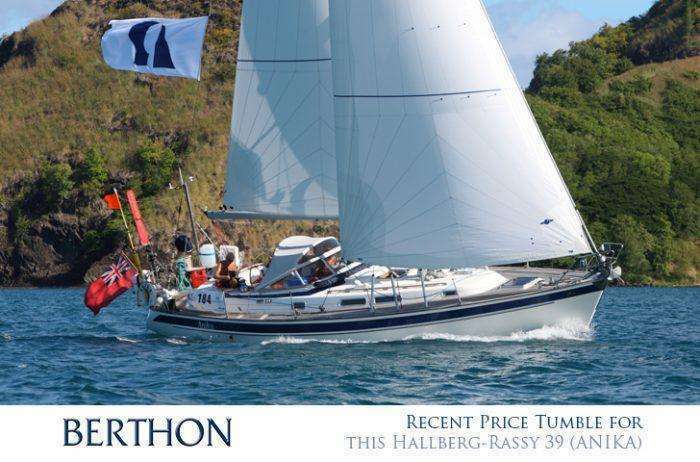 This week we thought we’d draw your attention to Hallberg-Rassy 39 – ANIKA. Asking £169,500 VAT paid. Lying Lymington, UK. 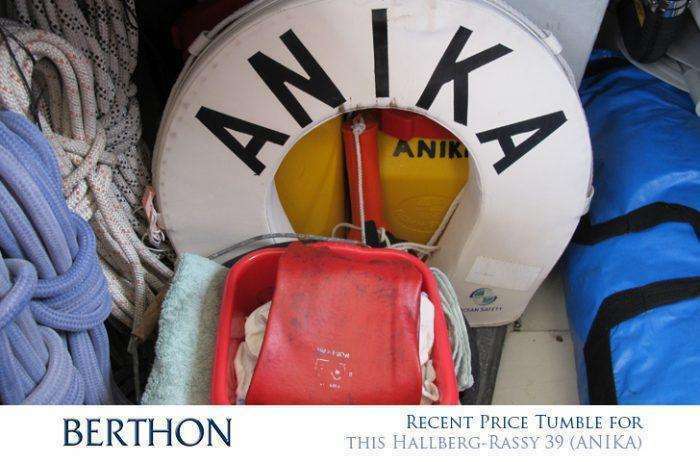 ANIKA is a very special yacht, perfectly set up for single or short-handed cruising and fully prepped and ready for the off. Her current owner went bow to stern replacing and updating equipment as he went, to the point it would almost be easier to explain which items on her aren’t new, rather than list them all here. Her in-mast reefing makes her easily managed from the cockpit so perfect for shorthanded cruising, with her capable German Frers design she offers comfortable and secure passages offshore, as well as refined living in port or at anchor. She really ticks every box. Her owner says it’s one of the joys of owning a Rassy. They are well made, solid yachts built for ocean passages. The admiration that the yacht gets, the quality of its build and reputation is huge – and it’s justified. Our yacht looks after us, but then again, I’ve looked after her. Her owner is, by his own admission, passionate about sailing and passionate about his yacht – his wife even describes ANIKA as ‘the only mistress you could afford!’, and when you’re sailing her, she consistently brings a smile to your face.